The very talented superstar, Luke Bryan is coming to rock the Farm Bureau Live on Thursday 9th June 2016! Joining him on his EPIC extended 'Kill The Lights' stadium shows is fellow Country stars, Little Big Town & Dustin Lynch. Fans are in for a real treat with this A class line-up as they take to the road on their added 40 dates across North America! 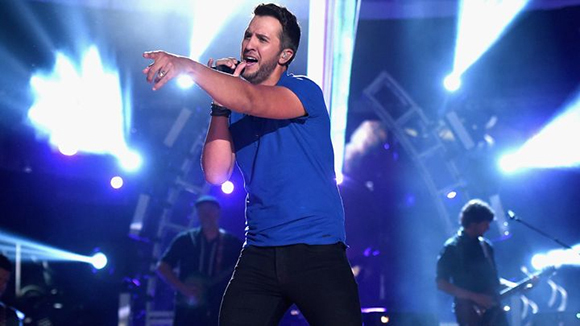 Luke Bryan continues to provide concert goers with an unforgettable experience, make sure you are there! Luke Bryan has proven that hard work really does pay off when it comes to achieving your dreams, he dreamt of becoming a Country music star from an early age, listening to the greats and learning the best he could from every lyric, melody and beat. Now, in 2016, Bryan has achieved not just his dreams but a huge recognition for his true talent, from fans and the industry alike. He has now sold more than seven million albums, 27 million tracks and has 12 No. 1 hits and back-to-back double-platinum albums. He celebrated his best touring year ever in 2014, performing for 1.7 million fans. He’s a two-time Entertainer of the Year and a television host! Seeing Luke Bryan LIVE is a once in a life-time opportunity, if you have the chance, take it – you won't be disappointed!